If you have never been through a disaster, it’s difficult to imagine the stress, chaos, and everything that could possibly go wrong, but believe me, having witnessed it firsthand in New Orleans with Hurricane Katrina, we all need to be prepared and learn how to best deal with disasters to minimize stress and possible danger to ourselves and our pets. During disaster situations, our pets—whose lives revolve around us and who depend on us for their every need—often become victims. Always err on the side of caution during a disaster. Many times people are told that they will only be leaving their homes for a short time when in actuality it turns out to be days or weeks. It’s better to be safe than sorry. A good rule of thumb: If it’s not safe for children, it’s not safe for animals. There isn’t a state in the union that is immune to nature’s fury—thunderstorms, blizzards, hurricanes, tornadoes, floods, heat waves, wildfires, ice storms, earthquakes. Then there are chemical spills, train derailments and acts of terrorism. 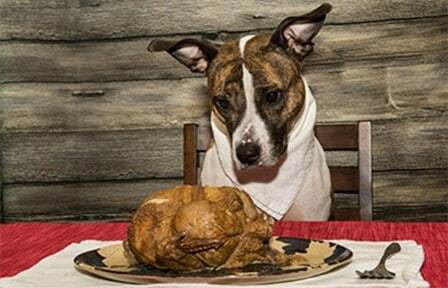 Even smaller incidents such as gas leaks and minor flooding can keep you away from your animals for extended periods of time. No one is impervious to the possibility of being affected, but the key to survival in any disaster situation—whether natural or manmade—is to know your enemy and be prepared for yourself, your family, and any animals in your care. Even though disaster preparedness is of paramount importance, few rescue groups have a plan in place. You may only have a few animals in your care, but do you know what you’d do with them if you suddenly had to leave? No one thinks a disaster will happen to them until it does. Having a disaster plan ready will help ensure that your organization keeps its animals safe and sound, no matter what comes your way. Disaster preparation entails thinking about the worst-case scenario and figuring out beforehand how you’re going to handle it. It’s smaller emergencies that are more likely to occur, but if you’re prepared for the worst, you’ll be ready to handle anything. Look at your own environment and see what type of disaster is most likely to happen. And bear in mind that sometimes the aftermath is worse than the disaster itself. In the wake of a catastrophic event, emergency systems, all lines of communication, public systems, and resources are disrupted or overburdened, and you may become isolated as inevitable turmoil results. Pets that are left to fend for themselves often die a miserable death due to predation, disease, starvation, and dehydration. So never leave pets behind! Being prepared starts by making sure all animals are wearing some form of current, legible identification in addition to getting a microchip implant—even if they are only temporarily your responsibility. When I was charged with providing veterinary care on the front lines for the animals displaced by Hurricane Katrina in Louisiana and later in Los Angeles, the majority of animals I tended too were not wearing any form of identification; if they did have a collar and ID tag, the information was usually unreadable or incorrect. Trying to match owners with their pets was nearly impossible. Now is the time to ask your local emergency management agency about your state’s disaster preparedness plan. 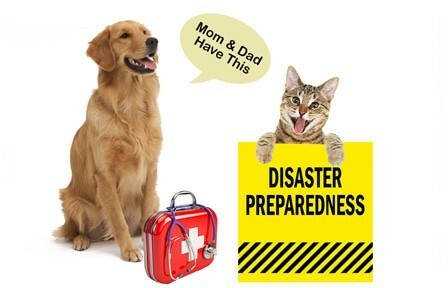 Familiarizing yourself with your community’s disaster plan is an important safeguard for you and your pets. 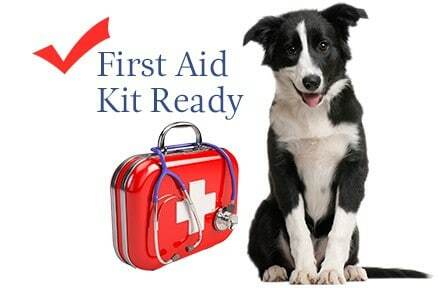 Many communities in disaster-prone areas have pre-designated locations like state fairgrounds, racetracks, shelters, stadiums, or veterinary hospitals for emergency housing of animals if a crisis arises. Once you know which plans you need to have in place, writing Standard Operating Procedures (SOPs) is essential. Your SOPs should include an evacuation plan, as well as plans specific to the types of disasters that have previously occurred in your area. Make sure everyone understands their own role in the SOP and be sure to include protocols for how to contact all of your foster homes and have a contingency plan if you can’t reach them. Try to partner with a shelter or boarding facility about 100 miles away, preferably inland, that would be less likely to be impacted by the disaster and could provide temporary placement for your animals. Have leashes, crates, and carriers ready so that you’re not running around when the winds start howling, trying to find means of transport. Keep a copy of all your records either online or on a flash drive that’s backed up on a regular basis and kept in a safe, yet easily accessible location. 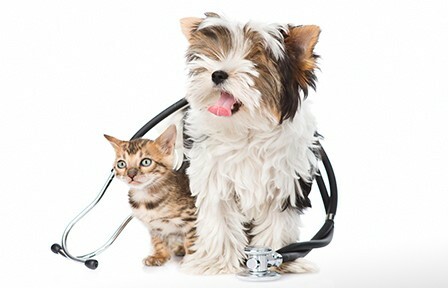 Make sure all animals have proper vaccines in case they need to be boarded. Always keep a current updated contact sheet of your colleagues with the most current phone numbers and emails and list who’s in charge of what. Take a basic incident command course. These online courses from FEMA are free and will enable rescues to understand the commands coming from the state or county level. Plus you’ll gain insight into the basic structure of disaster plan implementation. Getting involved with others in your community is important, too. Talk to other animal welfare organizations and find out what their plans look like. Practice evacuation and emergency sheltering drills with your local animal shelter. Be sure “Pets Inside” stickers are on your windows. 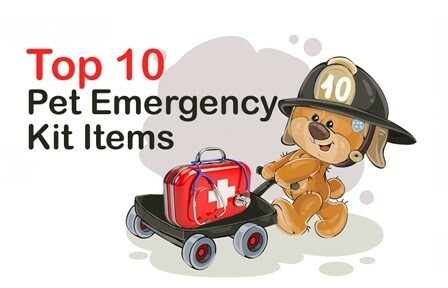 Have a readily accessible evacuation kit. Crate-train all your pets as much as possible. This is very helpful if they must be boarded or stay in an emergency shelter. Have clean drinking water, canned goods and extra cash on hand. Keep all vehicles in good running condition with full tanks of gas. Planning may seem unnecessary, but it’s absolutely essential in ensuring the safety and survival of your pet and any other dependent. And remember, if you must evacuate, leave early and take all pets. Expect the unexpected and stay calm. During times of disaster, rescue groups especially will have to live up to their names.